Huawei’s sub-brand, Honor, has launched yet another smartphone in India under the mid-range segment. 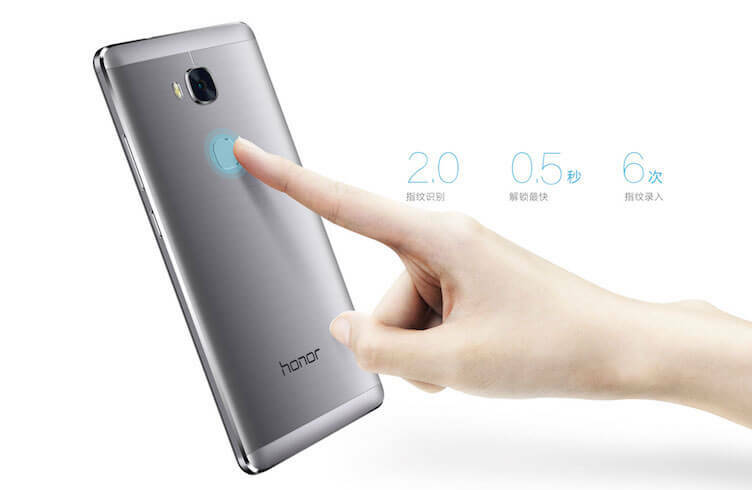 The new smartphone is ‘Honor 5X’, which is a predecessor to last year’s Honor 4X smartphone. The Honor 5X comes with a price tag of Rs. 12,999 and it is equipped with cool specifications in comparison to other similar devices in the segment. The Honor 5X comes with a 5.5-inch Full HD IPS display with a resolution of 1080 x 1920 pixels. It is powered by an octa-core Qualcomm Snapdragon 615 (MSM8939) (4×1.5GHz + 4×1.2GHz) chipset paired with 2GB of RAM. There is 16GB of internal storage onboard, which can be further expanded up to 128GB via microSD card. On the software front, the device runs Android 5.1 Lollipop with EMUI 3.1 Lite on top, and is backed by a 3,000mAh battery. It sports a 13-megapixel primary camera with LED Flash, f/2.0 aperture and 28 mm wide-angle 5P lens along with a 5-megapixel front-facing camera equipped with f/2.4 aperture, 22 mm wide-angle lens, 1.4-micron pixel size. Furthermore, the device also features a fingerprint sensor placed on the rear. In the connectivity department, the phone supports dual-SIM, 4G LTE, 3G, Wi-Fi, Bluetooth 4.1, and GPS. The Honor 5X smartphone will be available in Grey, Silver and Sunset Gold color options through Flipkart and Amazon. Additionally, Flipkart is also running inaugural offers, which allows users to exchange their old smartphone and get Rs.7000 discount on buying the Honor 5X. Government should emphasize on mobile manufactures to have corning gorilla glass and water resistant on every phone. Why people always criticize sudhakar even he has a valid point ?